Facilitated by Kevin Grossman, hear directly from Talent Leaders Alana and Cathy Riach as they speak candidly about their initiatives, and the candidate feedback data they gathered and used to help guide their improvements. The same candidate feedback data that also led to some the highest positive candidate ratings in Talent Board’s benchmark research, winning them coveted CandE Awards. They’ll answer Kevin’s questions and yours as we get to the bottom of what Candidate Experience really is and why it eludes so many when it’s clearly so achievable for some. Alana Bennett is currently the Head of Employee Experience at oOh!Media, one of Australia’s leading Out of Home advertising companies. 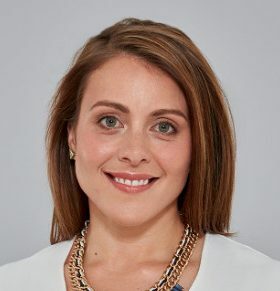 She is responsible for identifying, attracting, supporting and connecting the right talent to meet the growing talent needs of oOh!. Alana has a fierce passion for the employee experience believing that if you create the right environment your employees will thrive. She advocates for both employees and leaders to put their own oxygen masks on first so they can lead their teams to truly thrive. how you fuel your body is directly linked to performance.